On our last full day in Charleston, we visited Middleton Place plantation, which was started in 1741. It's over 65 acres of gorgeous formal gardens with sasanqua camellia hedges and trails that evoke thoughts of the Fire Swamp. I wanted to see lots of Spanish moss while I was in Charleston and I saw plenty of it there. The plantation had loads of bald cypress trees, which were gorgeous reflecting in the water. I even saw Bald Cypress knees, or pneumatophores, which are protruding extensions of their root system. I referred to them as "lumps", which was not appreciated. The Middleton Oak, a live oak, is one of the largest oaks in the United States. Unfortunately, several of its largest branches broke off earlier this spring, but it is still extremely impressive. The tree, which is estimated to be five hundred years old, apparently survived unscathed when hurricane Hugo hit Charleston in 1989. As you can see, there are several gigantic live oaks at Middleton Place. The symbol of Middleton Place is the wood nymph statue, which was carved by a German sculptor, Schadow, in 1810. It was buried during the Civil War, which is why it survived intact. 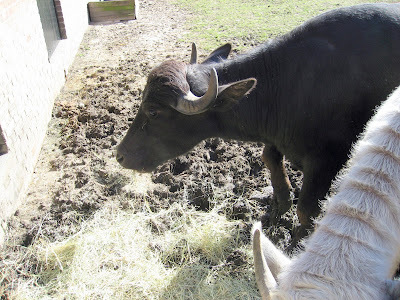 They have lots of different animals in the stable yards, including these Turkish Water Buffalo. I didn't pet them, but my Most Faithful Reader said that their hair had a very strange texture that felt almost like plastic. 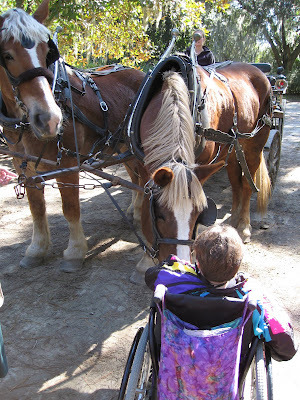 As we left, I got to pet these very large Belgian draft horses. We are very thankful for our friend, WB, who showed us around Middleton Place. In addition to her splendid company, she is a docent there and shared with us her wealth of knowledge about the grounds and their history. She made our visit to Charleston truly wonderful, indeed. 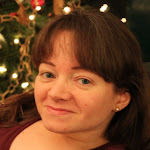 Thanks also to my 2nd Most Faithful Reader for all of the photos depicting birds or animals in this post. 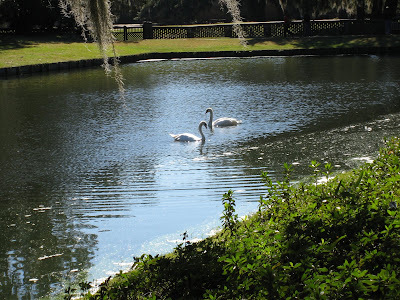 More of my photos taken at Middleton Place. A couple of friends and I recently went to Tokyo Fun, on 55, in Durham. It has modern decor, with very interesting furniture. I was pleased with the service and the sushi, too. Their creativity shines through their presentation. The little umbrella shaded an Obama roll, which was eel and avocado covered with wasabi lobster salad. My friends ordered vegetable tempura and I had two excellent broccoli pieces. As some of you know, I'm just a big fan of tempuraed broccoli. I liked the fact that it wasn't breaded too heavily. I also ordered a sashimi appetizer, which came with nine pieces of fish, including snapper, tuna and salmon. I liked the salmon the best. We also shared a Nemo roll, which was spicy tuna with salmon. It actually wasn't that spicy at all, which I liked quite a bit, but it might be underwhelming for those expecting it to be hot. Tokyo Fun was also recently reviewed by Carpe Durham. A couple of weeks ago, I met a bunch of friends at Mez, on Page Road, in Durham. It's owned by the Chapel Hill Restaurant Group, the same people that brought us 411 West and Squid's. It's basically an attempt at upscale Mexican. The interior is on the posh side, but the prices are quite reasonable. With taquerias on practically every street corner, I would expect even the fanciest Mexican restaurant to be somewhat less expensive. They have a wide variety of dishes on their menu and I chose a chile relleno as my main course. I'd actually never ordered one before, but I had a bite of my 2nd Most Faithful Reader's at ACME a few weeks before. I'm not exactly a big fan of any kind of peppers, by any means, but both of the ones I've tasted have had such a thin layer on the outside that they weren't objectionable at all. In fact, this Poblano pepper was delicious and was filled with rice, Chihuahua cheese, rasins and served with a slightly sweet almond cream sauce. It also came with a slaw that was very good. For dessert, I ordered their tres leches cake. My Hippest Friend makes a tres leches (three milks) cake that is out of this world and I'm afraid it was impossble for Mez's version to live up to it. It didn't come close and yet it was still quite good. My general reaction is that it was not nearly as moist and didn't contain nearly as much, if any, alcohol. Those two observations may be related. It did come what tasted like sliced pistachioes, but the menu says it was supposed to have candied almonds. Whatever they were, I liked them. I would definitely like to go back someday and try some of the other interesting looking things on their menu, including their aqua frescas. Have you had the mac and cheese side dish at Blu Seafood and Bar? If you had, you would remember, because you would have already ordered it more than once. It should be a controlled substance. It's way more than habit forming. It's macaroni and lump crab meat with prosciutto and truffle cream. I had some on Wednesday night and by Friday afternoon, I'd already decided that I needed to make reservations for that evening. It's that good. I recommend sharing with someone and ordering an entree or small plate as well, because it's very rich. I keep thinking how good it would be with Chef Tim Lyons's watermelon, goat cheese and tomato salad, but I'll have to wait until summer for that combination. They were having a German Wine dinner last Wednesday and Tim made a melt-in-your-mouth apple strudel for the occasion. I had the opportunity to go out to lunch at Blu last Monday. Yes, that is three times in one week, if you're counting at home. I had a wonderful fried oyster caesar salad with lots of fresh oysters and plenty of parmesan. It was really good. Apparently, Pauly didn't think I had been stopping by the Pauly Dogs kiosk often enough to get hot dogs this semester.... He finally let me go past. I guess I'll have to quit bringing leftovers to the office for lunch. We could see the USS Yorktown aircraft carrier from the harbor, next to the aquarium, so we decided that our next stop would be the Patriots Point Naval and Maritime Museum, which was awesome. The USS Yorktown (CV-10) was commissioned in 1943 and renamed in honor of the original Yorktown (CV-5), which sank during the Battle of Midway. It was uncharacteristically cold in Charleston during the last week of October and it was extremely windy. It was particularly windy on the flight deck. The deck had quite a few planes from various eras. They have a submarine, the USS Clamagore, which can also be toured. You can visit a destroyer and a Coast Guard cutter, the USCG Ingham. An entire day could be spent exploring everything. We didn't even have time to really look at the planes on display in the hanger deck. There are plenty of things to read about each plane and various locations on the ship, so it would have been nice to spend more time reading about the planes and the air craft carrier itself. Looking around and taking lots of pictures was a lot of fun, though. From an accessibility standpoint, it was great. On the flight deck, the wind was blowing so hard, I didn't even have to push myself in one direction. The Yorktown had elevators, so it was completely accessible. The submarine, the destroyer and the cutter are not similarly accessible, but they are pretty nifty to look at from a distance. One of the first places we visited during our first full day in Charleston was the South Carolina Aquarium, which exceeded my wildest expectations. We got to see Liberty, a rehabilitated six year old bald eagle, who may have had an unfortunate encounter with some power lines. She seems to be very happy in her current home, which is surrounded by vertically strung piano wire for safety and patron visibility. They have a 42 foot deep tank, which is the deepest tank in North America. Their gorgeous exhibits of the tank are from floor to ceiling, making it optimally accessible to viewers in wheelchairs or strollers. Horizontal supports are invariably near eye-level for me, so I rejoiced when I saw how how beautifully everything at this eight year old facility had been designed. Since there were also fewer people there, it was probably an even more pleasant experience than going to the New England Aquarium. They have several exhibits open to the outdoors, including one for this frisky otter. This yellow bellied slider thinks you should visit the South Carolina Aquarium if you are anywhere near Charleston. You can look at more photos here and I'll be adding additional videos to the set. Last week, I spent much of my time in Charleston, which was a fun and new experience. Of course, I was eager to try out some new restaurants, too. At the recommendation of E & L, who had been there a few weeks before, I went to La Fourchette, a French bistro on King Street. I was very pleased. It's a comparatively small place and it was very noisy, but I thought the food was great. My 2nd Most Faithful reader had the pork chop with apple sauce, grilled vegetables and fries. I had a bite of the pork and it was delicious. He was very happy with the meal. My MFR had a small plate with shrimp and puffed pastry and our friend, WB, had a buckwheat crepe, both of which looked good. I had their entree portion of the mussles and fries. Both were wonderful. Their fries are double fried in duck fat, so they are naturally superb and crispy. The mussels were in a white wine sauce with butter, shallots and garlic. I could have eaten a couple of baguettes to soak up what was left if I hadn't wanted dessert. For dessert, I had the creme caramel, with slivers of orange peel. It had a lovely and delicate orange flavor, which made it very different from any other creme caramel or flan that I've had before. I'm sure I've said this before somewhere, perhaps just out loud, but I really need to try making this at home. The verdict? If you're in Charleston, check it out.